Yesterday, Musk released the first teaser image of Tesla’s electric pickup truck, which he describes as a ‘cyberpunk’ truck and inspired by Blade Runner. The image was displayed on a screen for a few seconds after the Model Y launch but apparently, everyone missed it so he decided to release it on Twitter. A bunch of Tesla detectives set out to try to decode the image and better understand what we are looking at exactly. The part in the teaser image appears to be long for a hood, but it could make sense to have a long hood with a large ‘frunk’ for enclosed cargo space. Others are looking at it differently and used a previous image of a Tesla Semi-based pickup truck that Musk released two years ago. While the original image was officially released by Tesla, it was never clear if a Tesla Semi-based pickup truck would be something that would actually ever come to production. It’s an interesting approach, but it’s not my personal favorite. 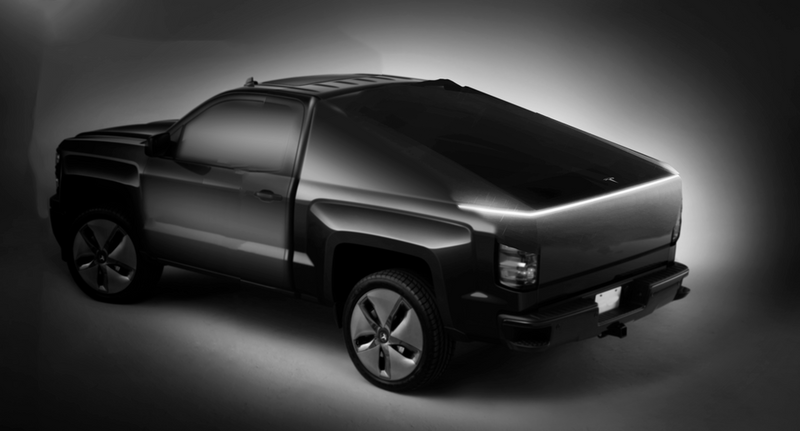 The Redditor believes that it would be a more aerodynamic approach to a pickup truck and it would fit with Musk’s mention of a ‘cyberpunk’ look. Which one is your favorite? Do you have your own interpretation of the Tesla truck teaser? Let us know in the comment section below.